A recent written auditor request indicates an aggressive position and differing treatment on previously exempt Illinois business-to-business property. Other states are poised to follow. Illinois contingent fee auditors recently previewed an aggressive interpretation of the Illinois Revised Uniform Unclaimed Property Act (Public Act 100-22 known as the "RUUPA"), effective January 1, 2018. RUUPA repealed the business-to-business ("B2B") exemption from the definition of escheatable property. RUUPA also dubiously demanded retroactive reporting and payment of property excluded for 2013 through 2017. Most holders were unable to timely report such property in 2018, so the May 2019 report is the first in which the legality of retroactivity might be tested, but the state's auditors have fired first. The B2B designation allowed property holders to resolve transactions without implementing stringent record retention for compliance and audit. The auditors' recent written demand is that holders remediate previously excluded B2B property within 60 days. Remediation is the predicate step to demanding due diligence notifications to property owners and payment to the state. Demanding payment could trigger a legal contest over the retroactive escheatment of previously excluded property, but that is far from the only issue. The new protocol begs the question whether B2B is reportable and escheatable notwithstanding a previously closed audit. Audit closures before January 1, 2019 determined amounts property excluded as B2B under the law at the time. Audits closed since January 1, 2018 should have been subject to the same protocols now being implemented. If property holders closing audits before this new demand was made had known that they would thereafter be called upon to report and escheat B2B property, they might have: (i) maintained their records differently, i.e., to document each step of the account reconciliation, to monitor dormancy, to track addresses for due diligence notifications and escheat, or (ii) handled their audits differently, instead of simply confirming that a B2B relationship excluded the property from escheat policies. Nevertheless, it is expected that Illinois auditors, upon a holder's failure to secure a due diligence letter for their previously exempt B2B items, will likely issue a demand for payment for the B2B property. Doing so before May 19 may impact the compliance Illinois receives from holders not under audit. In any event, the state's position, though dubious, is not in doubt now and developments on this front should accelerate. This Illinois development presaged other non-uniform proposed adoptions of the RUUPA. In 2018, both D.C. and Washington have proposed adopting RUUPA with retroactive reporting of previously omitted property (e.g., payroll cards) for a 10 year period. Retroactive reporting and escheat was not a "uniform" feature of RUUPA, but it may become one. 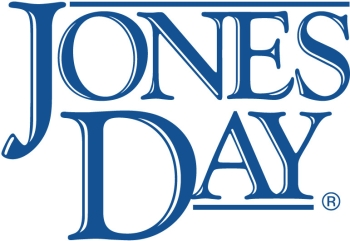 Jones Day will cover in a future commentary the troubling trend in departures from RUUPA.